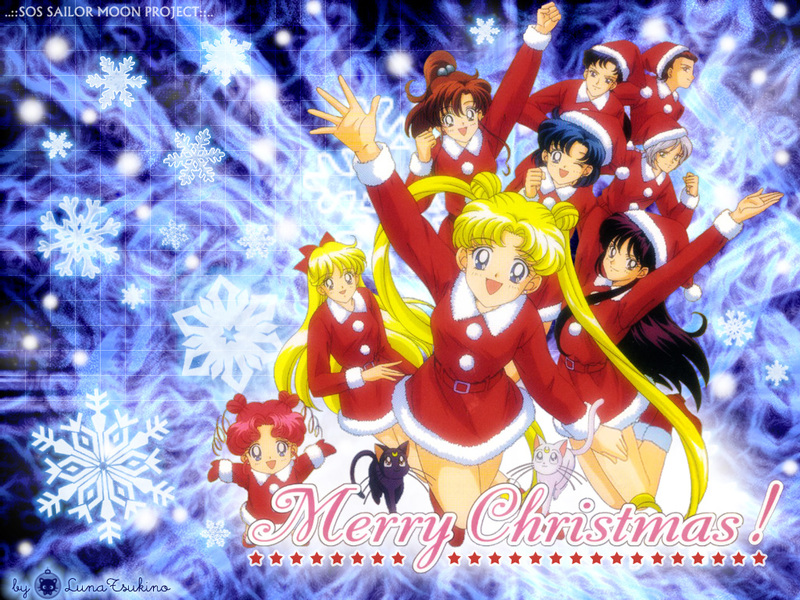 Bishoujo Senshi Sailor Moon Wallpaper: Christmas Time! Minitokyo »	Bishoujo Senshi Sailor Moon Wallpapers » Bishoujo Senshi Sailor Moon Wallpaper: Christmas Time! Although it took me hours, really lots of hours, to do extracting, the background was very easy-doing and the brushes I got from a long ago. I really hope everybody likes it, specially Sailor Moon fans, and I want to wish everybody Merry Christmas and a Happy New Year full of peace and dreams... I'm feeling like MiniTokyo is a very nice place... I've met great peolpe here! I love it! Extraction is nice and the bg is awesome! Cool sailor moon wallpaper, I really like it! Nice one! I love the picture you used. Nice bg too. Absolutely great for christmas time! I always love dynamic wallpapers like this!